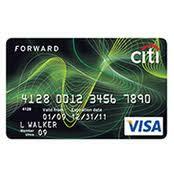 Citibank is now offering a $200 cash back bonus when customers sign up for a new Diamond Preferred credit card. Simply sign up online, meet the spending requirements, and get your $200 bonus! This card comes with a 3% balance transfer fee and even comes with free travel and auto rental insurance when you use your Citi Diamond Preferred credit card for your travel purchases. In addition to that, you will receive extensive security tools to help protect your credit card. If you see an item you purchase go on sale in the next 60 days, you can even get a refund of the difference in prices! 0% Intro APR on Balance Transfers and Purchases for 18 months. After that, the APR will be 11.99%-21.99% based upon your creditworthiness. Special access for Citi cardmembers to purchase presale tickets, preferred seating, VIP packages, and other unforgettable live entertainment experiences through Citi Private Pass(R). Remember, to receive your $200 bonus, you need to make $500 in online purchases in your first 3 months of card membership. To qualify for this bonus offer, your new credit card account must remain open and current. If the account is closed, or if it is converted to another account with Citibank, you may become ineligible for the $200 bonus. Hurry to make the most of this offer and start earning your bonus today! Find the highest credit card bonuses available! Citi Platinum Select Visa Card Review- 0% Intro Purchase and Balance Transfer APR for 18 Months! Citi mtvU for College Student Card Review- Bonus Points for Good Grades!